Looking for a reliable and fully licensed local company to take away your Walthamstow rubbish or junk? Look no further! Away With It is one of Walthamstow’s leading waste removal and rubbish clearance companies. We have been providing waste removal services to businesses and residents in the E17 area for more than a decade. During that time we have built up a large and loyal customer base in the local area based on our reputation for fast, friendly service at competitive prices. Talk to us today about our fast and reliable waste removal services in Walthamstow E17! Walthamstow is first recorded as “Wilcumestowe”, meaning ‘The Place of Welcome’ in 1075, and later as “Wilcumestou” in the Domesday Book of 1086. Initially just a collection of small villages, by 1870 it had grown into the size of a small suburb, and a Town Hall was constructed on Orford Road. Until the 19th century it was still largely rural, made up of a small village centre – now the fashionable Walthamstow Village – and a number of large estates. The B-Type, considered one of the first ever mass-production buses, was manufactured in Walthamstow from 1908 onwards. The operation later became AEC, manufacturer of the famous Routemaster Bus. More recently, Walthamstow has become known as a hotbed for British music. Blur’s Parklife album featured photos of the band at Walthamstow Stadium, while 1990s boy band East 17 named themselves after the area’s postal code and titled their debut album “Walthamstow”. One of Walthamstow’s most famous residents was the designer William Morris, his former house now a museum dedicated to his life and works. Other notable figures from Walthamstow include singer Ian Dury and former British Prime Minister Benjamin Disraeli. Another former Prime Minister, Clement Attlee, was the Member of Parliament for Walthamstow while in office. http://www.walthamforest.gov.uk/Pages/index.aspx – Website for the local authority council. http://www.guardian-series.co.uk/ – Local newspaper, covering news and current affairs for Walthamstow and the surrounding area. 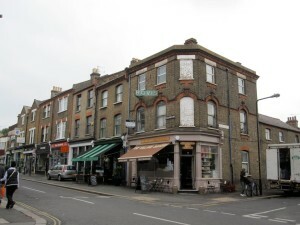 http://www.walthamstowvillageguide.com/ – A guide to goings on in and around Walthamstow Village. http://www.workingforwalthamstow.org.uk/ – Your local Member of Parliament.